"...let’s just say that if eighty-year-old Amanda is trying to organize poetry slams in the nursing home, I won’t be surprised at all." Nostrovia! : Before we really get into it, what drew you into poetry initially? Attending the Kenyon Review Young Writers Workshop was a major turning point for me. At Kenyon, I workshopped with Noah Falck and Andy Grace, who are both incredible poets, so it’s possible that first-hand exposure to their own talents in verse steered me in the poetry direction. I remember reading “How Origami Was Invented” by Bob Hicok during one of our workshops and thinking, “This is what I want to spend the rest of my life doing.” It’s been a little over a year since then, but so far my post-Hicok epiphany has held true. N! : You are extremely active in the literary community, especially for a high school student. What made you want to take your relationship with literature to the next level? AS: It just seemed natural for me to reach out to people and involve myself in the literary community as much as I possibly could. I prioritize improving my writing over (almost) anything, and although writing is something that we do independently, I find that being part of a supportive creative community is integral to developing our own unique voices. N! : Have you received any negative response from your high school peers for writing poetry? AS: I get mixed responses when I tell people that I write poetry. Some people think it’s interesting, and some people think it’s weird. I never get directly ridiculed or anything, but sometimes English classes can get a bit uncomfortable. N! : How has your experience with publishing been? AS: I’m the Managing Editor of Winter Tangerine Review, and I read poetry submissions for The Adroit Journal, so I’ve had the unique opportunity to experience the inner-workings of publishing as both a writer and an editor. If both Winter Tangerine and Adroit are open for submissions, I can end up reviewing nearly 2000 submissions of poetry, prose, and art in a month. Having constant exposure to submissions from people of all ages, backgrounds, and experience levels allows me to get a feel for what makes a piece of writing stand out, or what makes an editor want to publish something. Naturally, this helps a lot with my own writing—whenever I write something new, I think, “If this were submitted to Winter Tangerine, would I want to publish it?” If the answer is no, I ask myself why not, and try to fix whatever problems there are. N! : What do you seek in a poem for Winter Tangerine? AS: I like poems that reek of artistic innovation—poems that are written in such an evocative, unique, and honest way that you can sense what kind of person the writer is without even knowing their name. I’m always looking to read and write poetry that is unlike anything I’ve seen before. Personally, I’m a sucker for unconventional imagery, and a lot of the work in Winter Tangerine has some really unusual images. As I mentioned earlier, I was heavily influenced by my experience in a workshop with Noah Falck. In one of his poems, he describes a city as having “skies the/color of past tense.” To me, that’s the perfect image. No one would ever go outside and say, “Hey, grab an umbrella, because the skies are the color of past tense,” but in this poem, that image makes such clear sense and says so much in so few words—not to mention that it’s beautiful and creative. I’ve been thinking a lot recently about what makes a piece of art “good,” and depending on how I’m feeling at any different time, I’ll respond to that differently. Is a poem “good” because an editor or a judge says it is? Maybe. But I’m doubtful. Is a poem “good” because it’s emotional? No, or else we’d all publish chapbooks whenever we’re sad. Playing such a major role with Winter Tangerine forces me to confront this question, and I’m always changing my mind about what the answer is. Hopefully, later on in my career I’ll have a concrete answer, but as of now, I think that the bottom line is that a “good” poem will stand out in a positive way. If a poem is “good,” I’ll remember it. There’s a certain poem in Volume 2 of Winter Tangerine, and when it was submitted, our staff was pretty divided on it. Some people loved it, and others thought that it was in need of a serious in-house. We ended up publishing it, and I didn’t really think much about it. But just last week, I was experiencing a lot of the same feelings that the poem described, and after not seeing that piece for months, I went back and read it again. It was comforting to me. Maybe a “good” poem comforts us. There are so many different ways of evaluating a piece of art, but I think that when you read something that’s truly “good,” you can sense it, and you have to trust that sense. N! : Have your literary activities distracted you from school work? AS: It’s definitely a challenge trying to balance school work with my ventures in the publishing world, and it can be incredibly difficult at times to keep up with everything, but for the most part, I can make it work. I love writing, and I love my work with Winter Tangerine and Adroit, so when I’m working on something related to either journal, it doesn’t feel like I’m working. N! : How active is your local literary community? Are there a lot of other kids passionate about writing, such as yourself, where you are from? AS: My local literary community is basically dormant, which is probably why I involved myself in a more widespread literary scene. I’m from Boca Raton, Florida, a suburban town known for being the “retirement capital” of the world, so if by some chance there is a workshop or a reading going on, I’m usually the youngest person there by at least forty years. Sometimes I can feel isolated as a poet in a big public high school, but I try to remind myself that in a school with two thousand students, there are so many different types of people with so many different hobbies and interests, and somewhere in that two thousand are the people with creative passions. I’ve had people come talk to me about how they wrote a draft of a novel, or how they love writing poetry, and it’s great, because there’s this sort of bond that forms between people who share these interests. N! : Do you intend to go to college after high school? What are the next steps for your writing you intend to take? AS: I definitely plan on going to college, but wherever I end up next year, it’s important to me that it’s somewhere with a present and growing writing community. As of now, I want to study Comparative Literature and Creative Writing in college, but I also want to integrate a study of international cultures and languages into that. At some point in my career, I want to become fluent enough in different languages that I can travel to foreign countries and teach English as a second language. N! : Do you have other passions? AS: In addition to my ever-present poetry writing, I’ve also been experimenting with hybrid writing and creative nonfiction lately. Besides writing, I’m also very passionate about music. I play guitar and piano, and I’ve been thinking of recording instrumental tracks to use as backdrops for spoken word poetry. Some spoken word poets, like Andrea Gibson, release albums like that, and that’s definitely something I want to dabble in. I’d love to be able to combine my passions for music and writing. N! : What are your thoughts on self-publishing? Is it self-publishing a route you’ve considered for putting out a collection, or would you prefer a traditional publisher? AS: I think that it’s cool to have the option to self-publish—it gives the writer a lot of freedom, to my understanding, and I know some writers who have been incredibly successful putting out collections on their own. As of now, I don’t have a collection in the works, but my goal is to publish my first full-length collection before I graduate college. I would like to think that I’m mature for my age as a writer, but no matter how I look at it, the fact of the matter is that I’m only seventeen, and I’m probably going to change a lot as a writer and a person over the next few years. Ideally, if I’m going to put out a collection, I’d like for it to be something that will still resonate with me in the future, so it’s probably best to get through the inevitable “moody teenager phase” before making my full-length debut. In the next few years, if I end up with a manuscript that I feel very strongly about and want to publish no matter what, I would definitely consider self-publishing. But I would probably feel most comfortable working with a traditional publisher. I guess we’ll have to wait and see. N! : You won a Gold Medal for Poetry in this year’s Scholastic Art and Writing Awards. That’s flat out awesome. You’ve also been published in the Los Angeles Times, Houston & Nomadic Voices, and prior here at N!. I mean, damn, that's a pretty prestigeous . Is poetry something you’re in for life? AS: It’s hard to say what I’ll be doing a year from now, let alone for the rest of my life. But let’s just say that if eighty-year-old Amanda is trying to organize poetry slams in the nursing home, I won’t be surprised at all. Amanda Silberling is a sophomore English and Creative Writing student at the University of Pennsylvania, where she is a Kelly Writers House Edward Kane Scholar and recipient of the Lilian and Benjamin Levy Award in Creative Writing. She has been recognized by The Poetry Society of the United Kingdom, The Alliance for Young Artists & Writers, and The President’s Committee on the Arts & Humanities. Recently, her poems have appeared or are forthcoming in Crab Orchard Review, Tinderbox Poetry Journal, The Louisville Review, SOFTBLOW, and more. 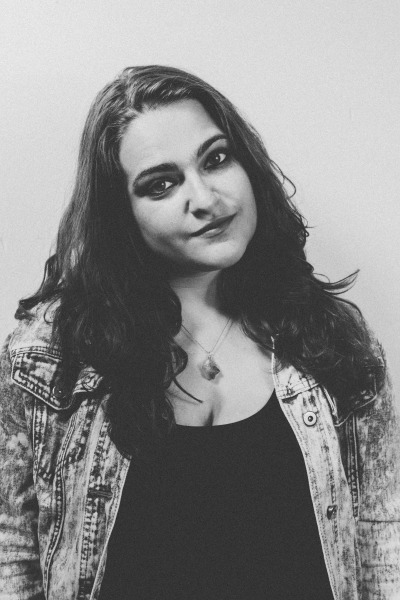 Amanda is the Blog Editor at The Adroit Journal, a writer and photographer at Rock on Philly and The 405,and the former Music Editor of The Daily Pennsylvanian‘s 34th Street Magazine. She has blogged for PANK and The Rumpus, as well as The Poetry Society of the United Kingdom’s Young Poets Network, among other places. Amanda has published band profiles, interviews with Billboard chart-toppers, and reviews in various local and national publications, including She Shreds Magazine and The Los Angeles Times. After growing up in South Florida, she currently lives in Philadelphia.